On the 6th and 7th June, The Map House exhibited at the London International Map Fair. Held in the prestigious surroundings of the Royal Geographical Society in South Kensington, it is the largest antique map fair in Europe. This year we showcased some extraordinary pieces on the theme of London..
Scolari’s stunning panorama of London is based on an engraving by Nicolas Visscher which was issued in 1616 and acted as the template for panoramas of the city before the Great Fire of 1666. London panoramas of this age and size are incredibly rare as it was very likely a loosely printed item and thus without the protection of bound covers. The only other example we have been able to track down is in the prints and drawings collection of the British Museum. From 1881 thousands of Jews a year, escaping Tsarist persecution in Russia and Poland, found refuge in the East End of London. Their unusual appearance, customs, Yiddish language and desire to find work, even if the wages were appallingly low, created hostility. Using the colour coded system introduced by Charles Booth in 1889, this map sought to present a balanced picture of Jewish immigration to London. 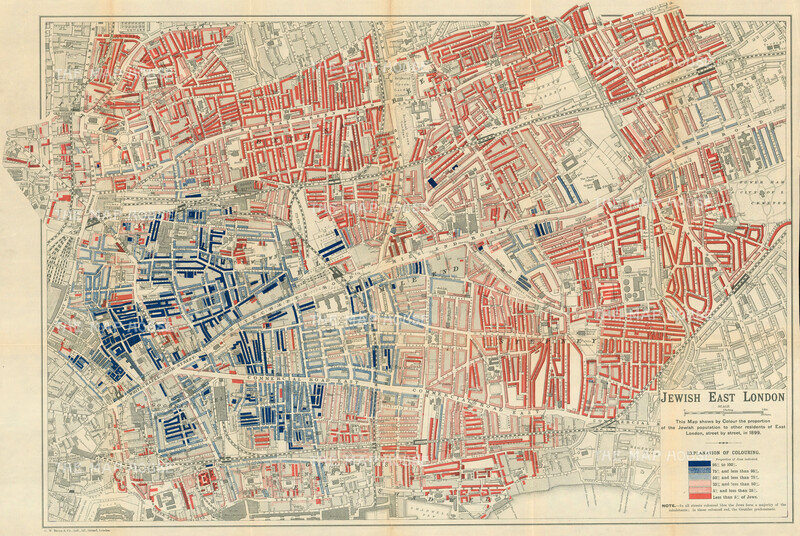 Unfortunately by featuring the few streets that were 95% Jewish, when the overall Jewish presence in Stepney was relatively minimal (statistics suggest less than 20%), the map likely fuelled more prejudice. A discrimination that clearly led to the passing of the 1905 Aliens Act aimed at massively reducing Jewish immigration. This unique manuscript map is by George Horace Davis (1881-1963), created for later publication in the celebrated magazine, ‘The Illustrated London News’. 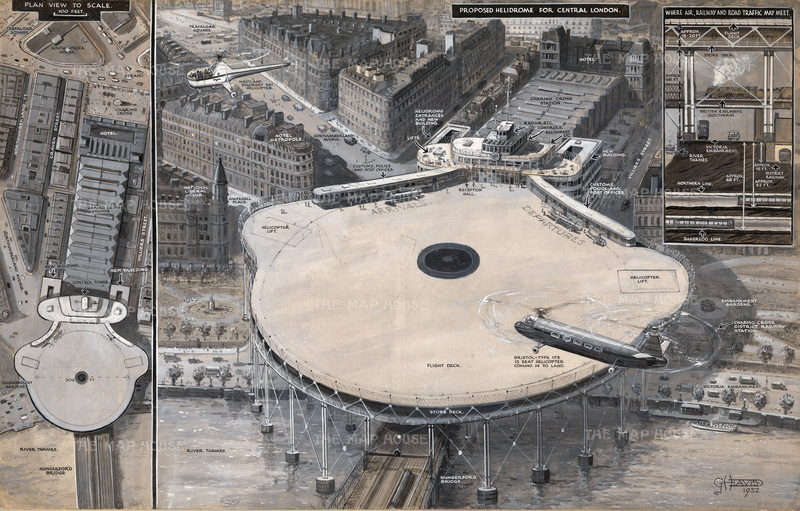 Here Davis draws three views of a proposed Helidrome to be an extension of Charing Cross Train Station in central London. It is a stunning example of visual journalism that precedes mainstream photography, offering the public an accurate and detailed understanding of contemporary industry. Don’t forget to follow us on Twitter, Facebook and Instagram for updates and announcements.